After fighting the Islamic State (IS) under a Washington-backed joint coalition, the Syrian Kurds and Arab tribes are shaping Syria’s future at each other’s expense. Eliminating IS was once a common goal for the two groups, but they now campaign for a stake in Syrian politics without reason for compromise. 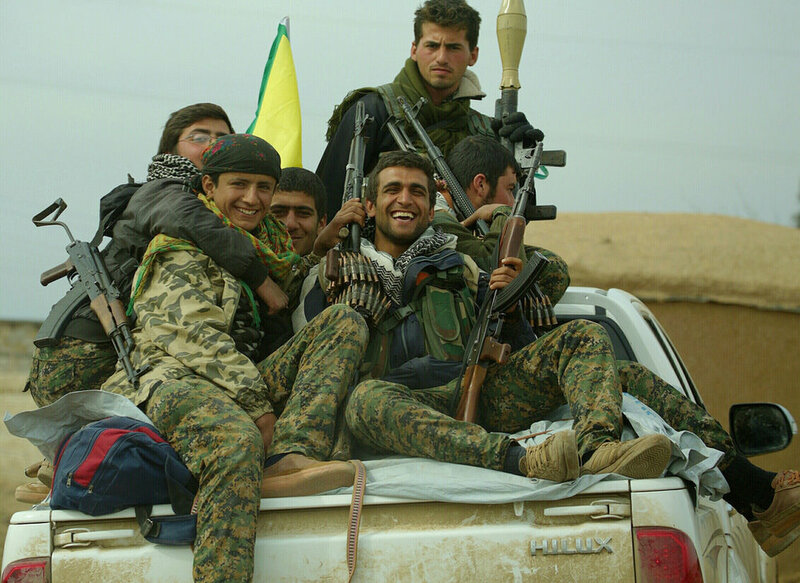 Al-Monitor reports that the Kurds have fallen into a “sticky” situation since the U.S. announced its withdrawal from Syria. The coalition initially offered the Kurds increased offensive capabilities against IS and promised increased territorial security for Arab tribes who fought alongside the Kurds. With American arms and training, the forces reduced IS to a final outpost and ultimately defeated its remaining insurgents. But without continued U.S. support, Arab tribes have instead pursued bilateral deals with Syrian President Al-Assad to ensure their own safety. Nicholas A. Heras, a Middle East security fellow at the Center for a New American Security, told Al-Monitor, “One of the reasons that the Arab tribes and leaders continue to engage with the [coalition] is the continued promise of support from the U.S.-led coalition that will allow their communities to benefit from great power cover.” Given the departure of the U.S., the Arab tribes must find an alternative means of safety and are not likely to continue working with the Kurds. Assad’s recent rhetoric implies that the Kurds might have trouble finding a new pool regardless of Washington’s perspective – since the withdrawal of the U.S, Assad has declared victory and accrued Russian and Iranian military support. Furthermore, he is less inclined to respect Washington-sponsored territorial agreements, and will likely draw Syria’s post-war map without consideration for the Kurds. The Syrian Kurds are not the only victims of the U.S. re-strategizing. The Pentagon’s budget plan for the upcoming fiscal year forecasts a $164 million subsidy cut for the Iraqi Kurds, who fear an IS resurgence beyond Syria’s borders. The joint coalition’s mission in Syria lived to completion, but Pentagon spokeswoman Rebecca Rebarich asserts IS has the resources and manpower to rebuild in Iraq. Rebarich lauded the Pentagon for pledging to fund the Iraqi Kurds in the coming year, but did not specify how the spending cuts would affect their security. In addition to the U.S. departure and Assad’s hostile rhetoric, the Kurds face continued repression in Turkey. Kurdish communities that once enjoyed de-facto autonomy from the central government fear President Erdogan’s overreach after Turkey’s recent elections. On the verge of isolation from the west, three of the Middle East’s four major Kurdish demographics must fight to stay afloat.